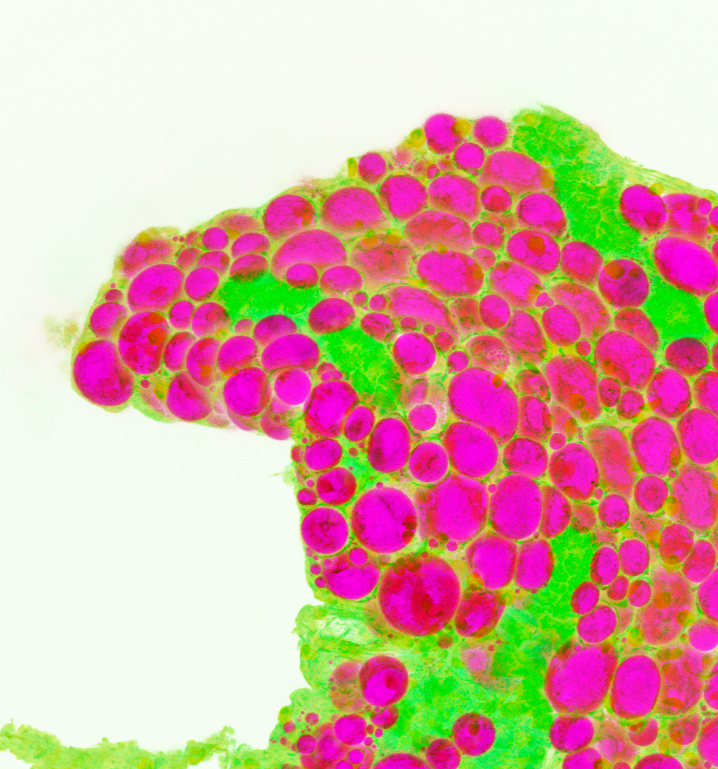 Adipose tissues are lipid-rich structures found in diverse locations throughout the body. A central role of (white) adipose is the regulation of energy homeostasis. Excess energy is converted to lipid and stored in adipose tissues - in cytoplasmic lipid droplets within adipocytes - during states of caloric surplus (i.e., following a meal). Conversely, during states of caloric deficit (i.e., fasting, starvation or exercise), adipocytes release lipid into the bloodstream for use as energy by peripheral tissues. 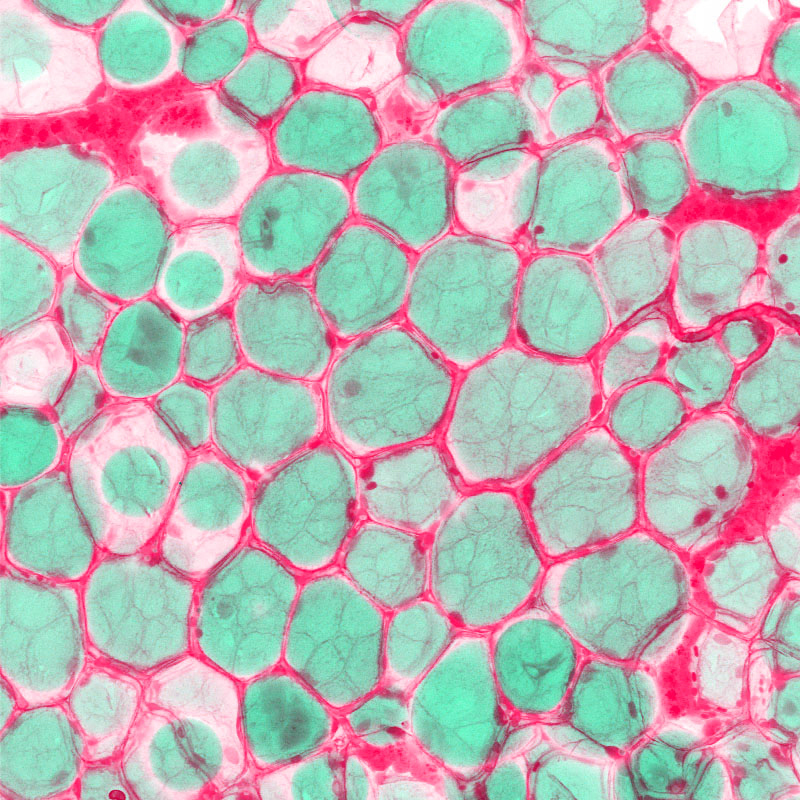 This ‘lipid buffering’ by adipose tissues regulates the exposure of peripheral tissues (e.g., skeletal muscle and liver) to lipid and thus provides an organism with energy insurance - vital for withstanding prolonged periods of high physiological burden (e.g., low food availability, population migration or extreme temperatures). In modern societies, food availability is high and energy expenditure is low which can result in chronic energy excess and obesity, characterised by enlarged and dysfunctional adipose tissues. In turn, dysfunctional adipose tissues fail to provide an effective lipid buffering system, leading to increased blood lipid levels, lipotoxicity in peripheral tissues, widespread metabolic disruption and increased susceptibility to diabetes and cardiovascular disease. Indeed, dysfunctional adipose tissues are widely understood to be a primary risk factor for these diseases. Our lab seeks to understand two important questions. First, how does genetics influence adipose tissue levels and function? Second, how do adipose tissues influence the function and regenerative capacity of neighbouring visceral organs? By addressing these questions we hope to discover new biological roles for adipose and disease burden in the face of obesity. Our experimental strategy is to use genetic data from humans - in the form of exome sequencing or genome-wide association studies, and test hypotheses in mammlian cell lines. However, central to our work is applying zebrafish as a model system to study adipose tissue. Zebrafish are small freshwater fish which possess adipose tissue that is morphologically, molecularly and functionally very similar to human white adipose tissue. These similarities suggest our zebrafish findings will be relevant and directly transferable to humans. We use zebrafish for two main reasons. First, adipose tissues can be imaged non-invasively in live animals, at a high cell-level resolution, and without pain or suffering. Second, unbiased chemical and genetic screens can be employed in zebrafish to identify new molecular pathways that regulate adipose levels and function. Together, we believe these unique advantages of the zebrafish model can be harnessed to provide new insights into adipose tissue biology. The quantity, distribution and properties of adipose tissue are highly heritable, suggesting that genetics plays an important role in determining an individuals adiposity. Our research aims to understand which genes influence adiposity and impact on disease susceptibility. In particular, we are interested in how blood vessels regulate adipose function. The patterning of neuronal networks within brain influences feeding behaviour, appetite and adiposity. Indeed, disruption of these neuronal netwroks in humans causes severe obesity and disease. We utilise live non-invasive imaging of neuronal activity in zebrafish to understand which genes regulate the patterning and function of feeding neurons, and influence susceptibility to obesity. Visceral adipose tissue is deposited in close contact with visceral organs such as the heart and pancreas. Our goal is to understand how accumulation of adipose at these sites influences the function and regeneration of neighbouring organs.